It’s been over three years since Tephra released their last album A Modicum Of Truth. In the meantime the Germans have retired their keyboard player and changed from Riptide to Golden Antenna Records. Change has consequently been unavoidable, and as it is definitely for the good, there is no reason to complain. I remember Tephra as a sludge core doom metal band that always tried hard without yet achieving the greatness of their forerunners. Their third album Tempel sees a greatly matured band who have got rid of some of their heavier elements, incorporating instead more melodic guitar work, and thus achieving their new sound combining their cruder past with touches of post rock and indie guitars. The songs are quite long, all running between four and eight and a half minutes, and while most of them come with truly harsh vocals, some have been left in their instrumental state. Unlike many post rock bands that have a hard time coming up with memorable vocal-less songs, Tephra prove that this is no impossibility for them on the genial City Immersed In Dust with its wicked desert rock feeling. The album’s longest piece, How The West Was Lost, is another highlight where the quartet shows its talent for dynamic effect, yielding an epic track that sounds like a harder and less pathos-driven Fields Of The Nephilim. 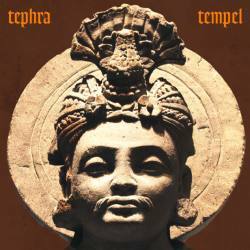 Like so many good albums, Tempel reveals its greatness only after repeated listening, but once you’re hooked, there’s no escaping its subtle details and overall ferocity. Some might feel reminded of The Ocean whenever they sound less metal, and that’s no coincidence either, as vocalist/guitarist Ercüment Kasalar used to be in that collective for a couple of years in the mid-2000’s. Fans of post doom core metal - whatever that means – who also like Neurosis, Cult Of Luna and Isis will be positively surprised by the huge progress Tephra made on their new album.